The Scotty’s Carmel location officially opened in April 2014. This was the eighth Scottys Brewhouse location in Indiana for local restaurateur, Scott Wise. 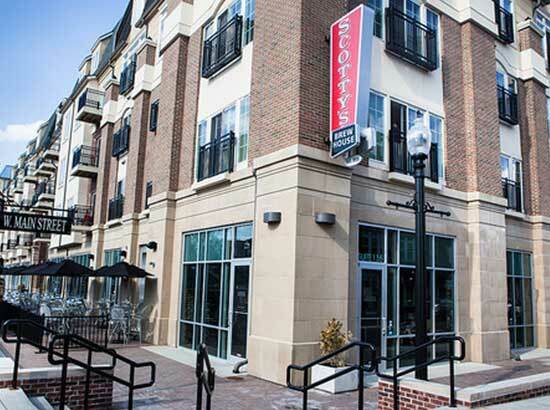 Keystone Realty Group secured a lease with local chain restaurant, Scotty’s Brewhouse. The popular new restaurant took over the location on the North West corner of Sophia Square. The $60 million mixed-use development will provide Scotty’s with a prime Main Street location beneath 202 luxury apartments and near dozens of popular shops and galleries. The space also features an outdoor patio over looking the Monon Trail.